The Hilbert Oscillator is an oscillator based on the Hilbert transform based on John Ehlers work in his book 'Rocket Science for Traders'. The Hilbert Oscillator can replace the standard RSI as it is more responsive and smoother. 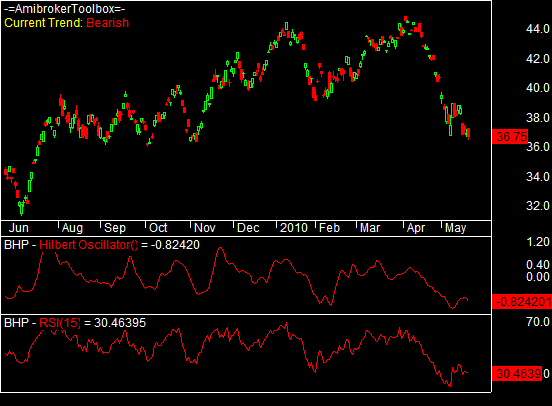 The chart below show the Hilbert Oscillator and RSI indicator side by side for comparison.